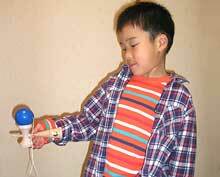 Let's learn about kendama, a very popular game in Japan! Learn about the history of this game. There are many varieties of this classic game. Read about the wide range of tricks that can be performed.